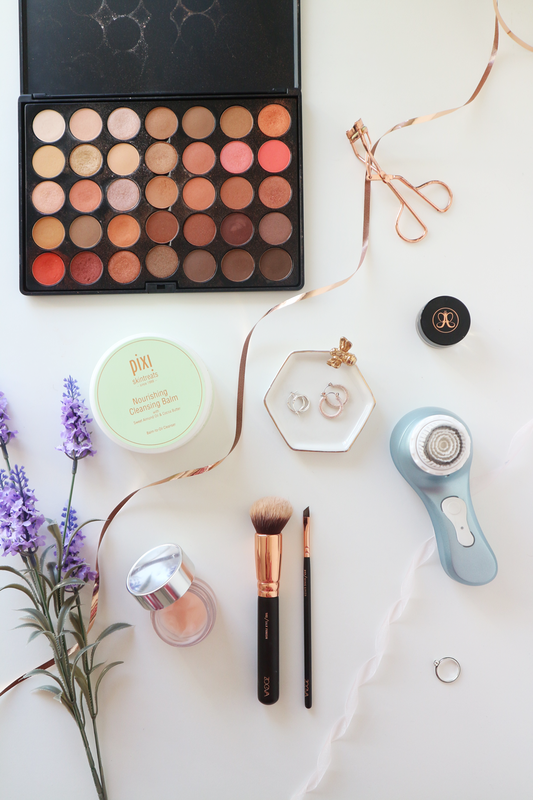 I’m no beauty guru, but this year has definitely been a year where I’ve discovered a whole load of brilliant beauty products. Today I thought I’d share with you my favourites of 2017! The first real show stopper for 2017 for me is the Crown Brush 35 Colour Rose Gold Eyeshadow Palette*. A dupe for Morphe 35O this palette was practically made for me – it’s the most beautiful mix of browns, golds and reds perfect for my blue eyes. I’ve been reaching for it so often! See my review on the palette and some other goodies from Crown Brush here. A more recent discovery for me was Clinique Moisture Surge. I avoid high-end beauty normally but when I had given a sample of this a go and loved it, and saw this on offer at boots I took the plunge. It’s so light but still super moisturising and is the perfect makeup base! See my review here. Talking tools, the Zoeva makeup brushes are my go-to. The rose golden set is the perfect basic set. My personal faves being the silk finish brush and the luxe sheer cheek brush – see the full review here! Another skincare holy grail for me has been the Pixi Cleansing Balm. I’ve really loved moving away from basic make-up remover, and towards a balm. This removes makeup brilliantly leaving my skin feel super clean. See my full post on this one here! 2017 was the year of the brows. For me, Anastasia Beverly Hills Dipbrow was the real winner. I’ve used this pretty much every day since I got in at the beginning of the year and it’s still going strong! Finally, the Magnitone London Barefaced Cleansing Brush is a bit of a latecomer but I couldn’t miss this beauty out. I’ve absolutely loved introducing this into my beauty routine. Using this after removing my make-up makes me feel like my skin really is squeaky clean and clear of any impurities. See my review here. What were your 2017 beauty favourites? "The hoody I’m living in this winter"